Steve Boyce has two passions in life—music and audio. A man of many talents, Steve has spent his professional career as an audio engineer, producer, interactive audio producer, musician (bass and guitar) and songwriter. He has served on the Board of Governors of the Pacific NW Chapter of the NARAS and other programs in support of fostering music in the community. 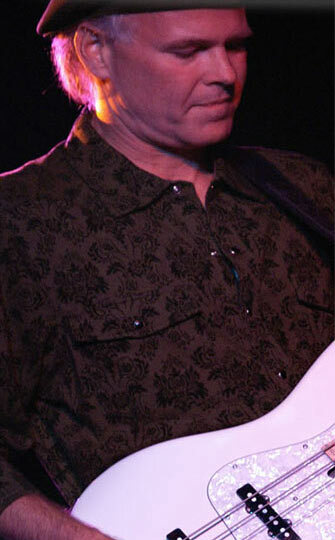 Developing an interest in music at an early age, Steve started accordion lessons at age 7, taught himself guitar at 10, and by age 12, joined his first band, The Prospects, where he picked up the bass. The band played local school, club, and church functions around the Seattle area until they were 21. During this period, Steve developed a strong interest in sound. When playing shows with other bands on the bill, before or after his set, Steve could always be found at the mixing console where he would mix sound for the other bands. This interest in live sound paralleled an interest in recorded sound which led him to a Seattle recording studio, where he joined the house band, played on radio and television ads, and learned about studio and remote broadcast engineering and production. Steve ran his own sound company, Colorsound Productions for many years before taking a job at Microsoft where he put the first sound on a CD-Rom. He was also responsible for helping to build a state-of-the-art sound production facility and managed the interactive media audio production unit. Through it all, Steve has remained passionate about his own music and bands. In addition to his own groups, as a musician he has played with Chuck Berry, BB King and Spencer Davis. As an audio engineer he has worked with such diverse acts such as James Brown, Herbie Hancock, Bruce Hornsby, 50 Cent, The Neville Brothers and many more. Steve has had the opportunity to work on projects ranging from rock to jazz, symphonies to hip hop, bluegrass to children's music, and everything in between. He feels blessed to have had the opportunity to work with many of the top artists of the last thirty years and to have seen a good portion of the world while doing it. Whether writing, arranging, recording, or producing music, doing live sound, or performing live, Steve's view is a rather unique perspective of both sides of the stage. Keep up with Steve by reading his blog.